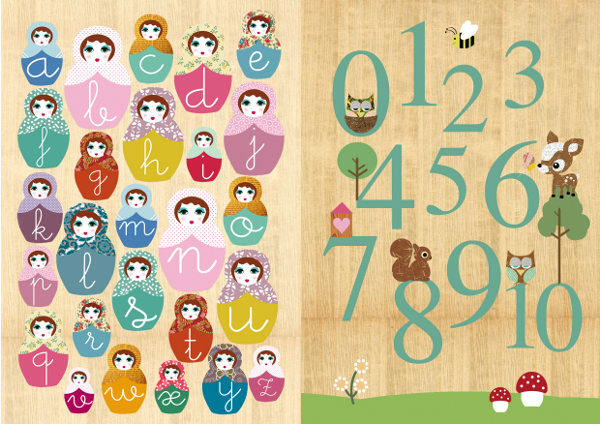 There’s nothing so classic for a nursery or children’s room as letters and numbers, and it’s pretty easy to find them in poster or frieze form. But what if you want them to match the room? What if you don’t want the bedroom to look like a kindergarten classroom? Then it gets a bit more difficult. 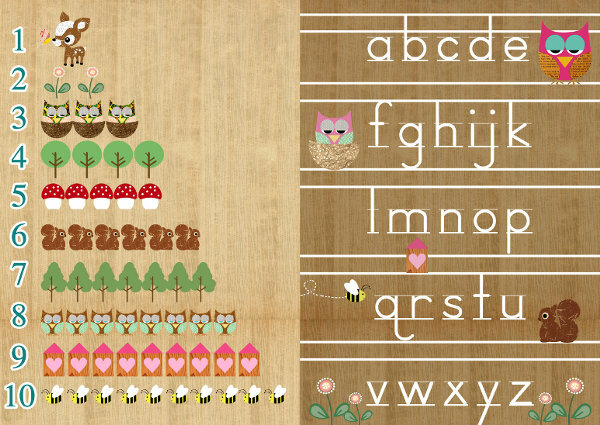 For gorgeous letter and number prints look at Green Nest, who have a really wide variety of prints in various sizes which little ones are sure to love. Woodland themes dominate the current crop of prints, but there are Russian nesting dolls, and cute animals of all shapes and sizes too. German artist Claudia Schoen has even managed to take different elements of handwriting principles and make them arty – so as well as learning a basic alphabet, there’s script, lower case, upper case and more. Prices vary with the size of the print, but most are between $15 and $30. You can see the whole range at Green Nest.